Being one of the oldest cities in the world, it would be safe to say that shopping in Varanasi offers quite a selection given the extensive culture and traditions the city has to offer. Aside from being the cultural capital of India, Varanasi is also important when it comes to India’s business commerce. The city possesses a flourishing commercial center as it is involved in volumes of trade all over India. Varanasi shopping becomes something to look forward to in every trip. Varanasi has long been the center of handicrafts most especially silk weaving. The locals argue that there is no other place in the world where you could find fine embroidery such as those produced in Varanasi. In fact, almost every Indian bride would want a Varanasi silk saree in her trousseau. Richly-worked gold and silver brocades are known to be passed on from generations to generations similar to old family jewels that never seem to lose their charm. However, tourists of the city must be watchful when buying silk saris with the presence of imitations being sold across the city. Imitations are much cheaper than the real silk ones. Unfortunately, these are not so easy to distinguish from each other so it may be best to have someone go with you who can decipher the difference especially if you are into buying the real thing. Aside from Varanasi saris and brocades, the city also produces extravagantly made brassware, copperware, clay toys, wooden work, and antique designs of heavy gold jewelry. The streets of Varanasi are also flooded with hand-knotted carpets of Mirzapur that are available in the most outrageous colors. Shawls, wall displays, lampshades, stone inlay work, glass bangles, and beads and masks of selected Hindu and Buddhist deities are also available. Aside from wonderful items that serve to be memorabilia to your Varanasi trip, snacks are also plenty around the city. Summer is perfect for the sweet and sour taste of Langda Aam, which is a popular variety of mangoes only available during the hot season. The popular betel leaf is also a must-try specialty of the city. Most of the locals can be seen chewing betel as part of their cultural upbringing. Betel leaves are even offered to guests as a welcome gesture to a local home. A great buy would also have to be “kamandalam” or brass water pots which are often seen being used by saints in order to carry water. Another alternative would be the bottled “Ganga jal” or jerrycan that can be bought from the riverbanks to be used for religious purposes. Water from such carriers may also be used as Holy Water for different rituals. If you dare, you may also take water from the Ganges River itself. Some of the better known shopping destinations in Varanasi include Chowk, Dashswamedh Gali, Gadoulia, Golghar, Gyan Vapi, Lahurabir, and Thateri Bazar. 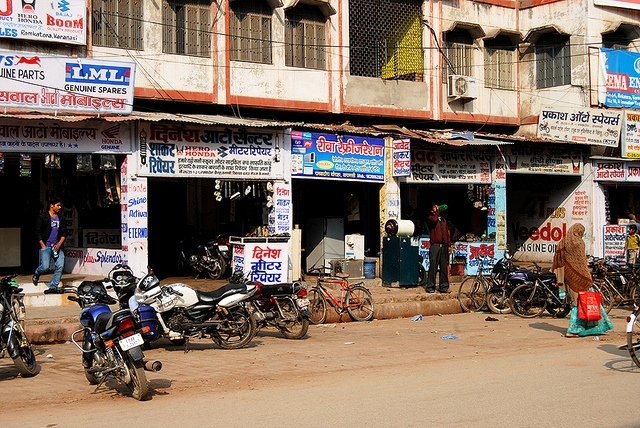 Most shops in Varanasi allow you to bargain which will definitely put your haggling skills to test. But then again, bargaining makes shopping in Varanasi a lot more fun, unforgettable, and quite unique.